Are you a high school player looking for a team for the fall? 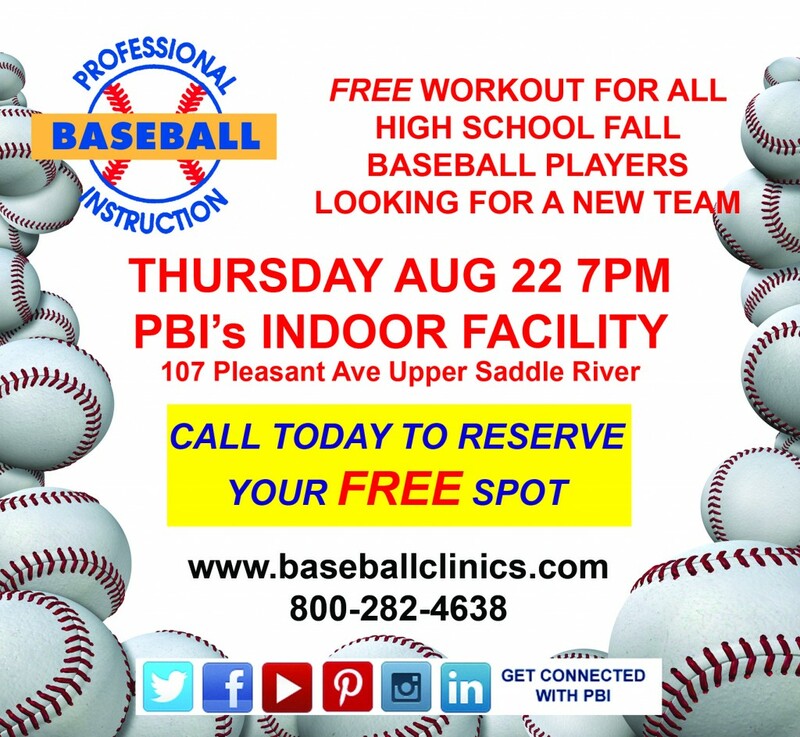 Professional Baseball Instruction is holding a free workout for high school players Wednesday August 22nd at 7 PM here in our indoor facility in Upper Saddle River. Call today to reserve your spot for this FREE workout – 800-282-4638.